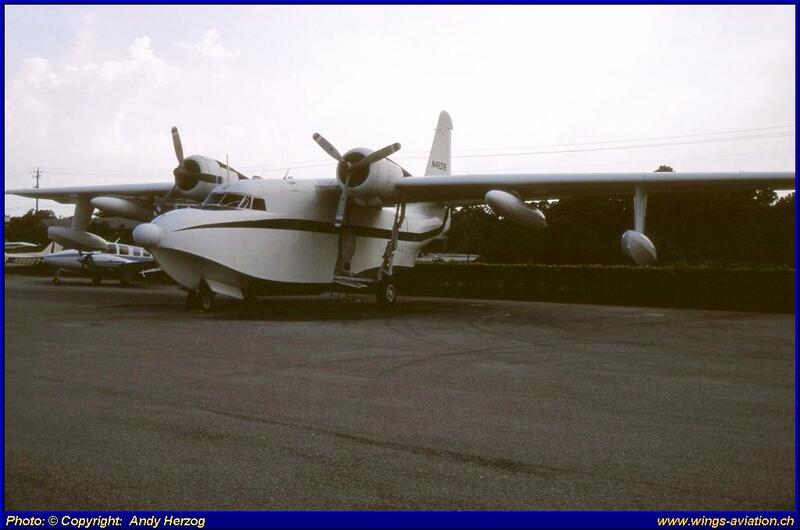 All pictures are scanned from Fuji slide. 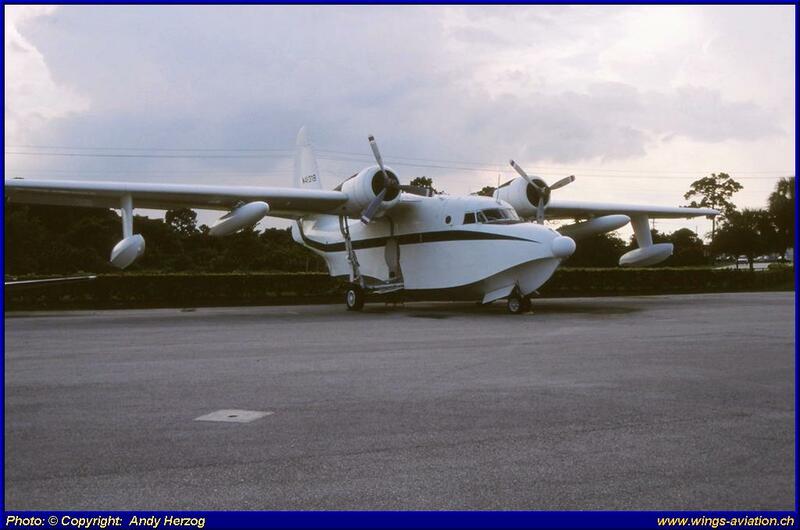 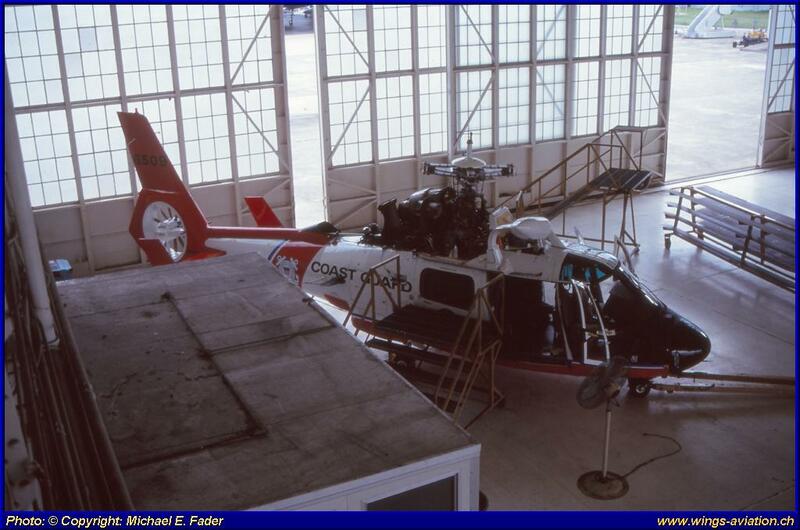 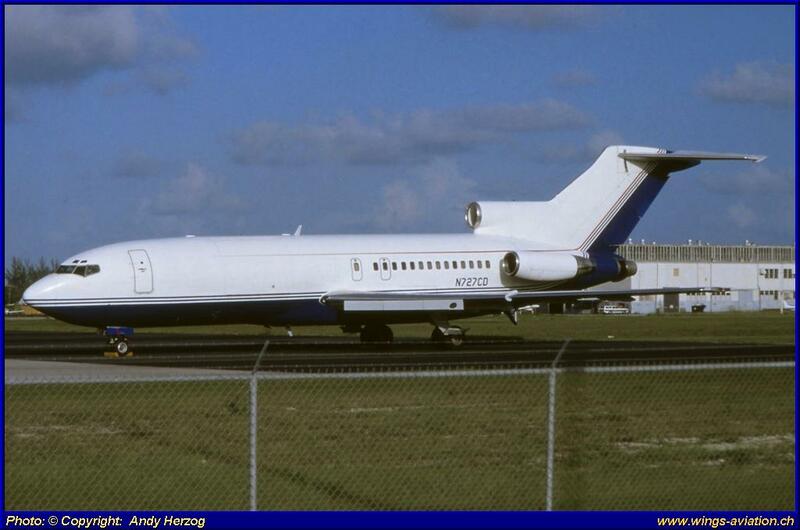 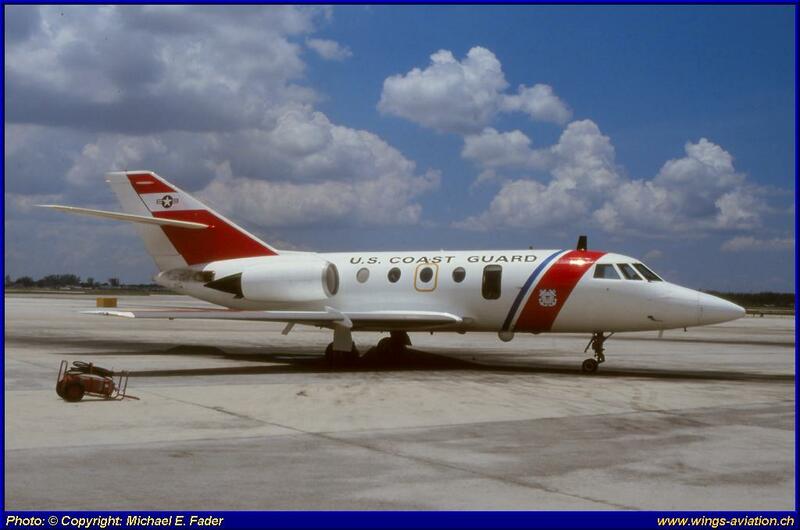 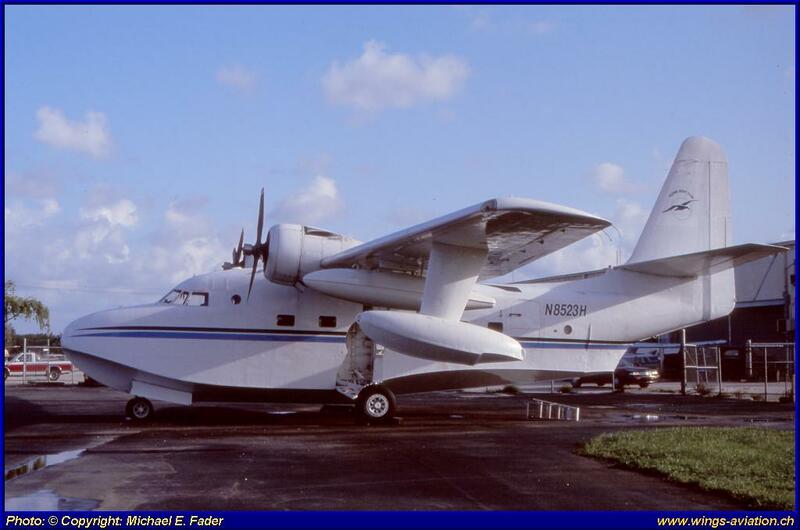 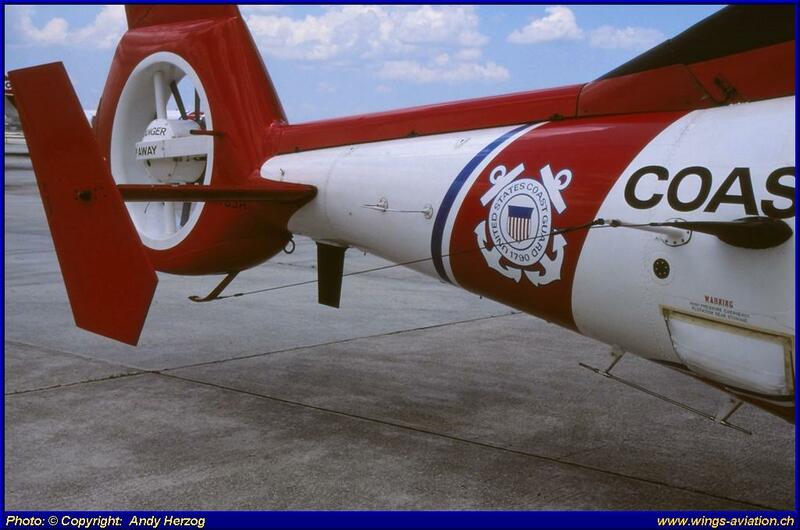 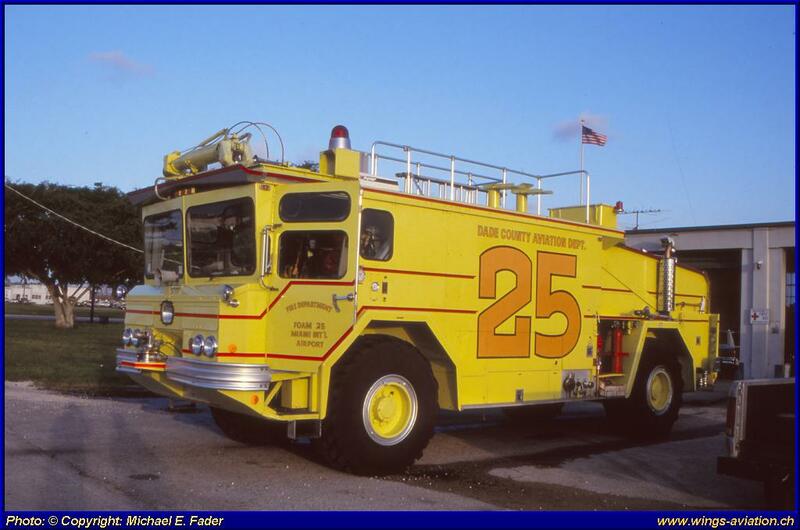 In 1990 when we traveled around Florida we got the unique opportunity to visit the USCG Miami at Opa-locka. 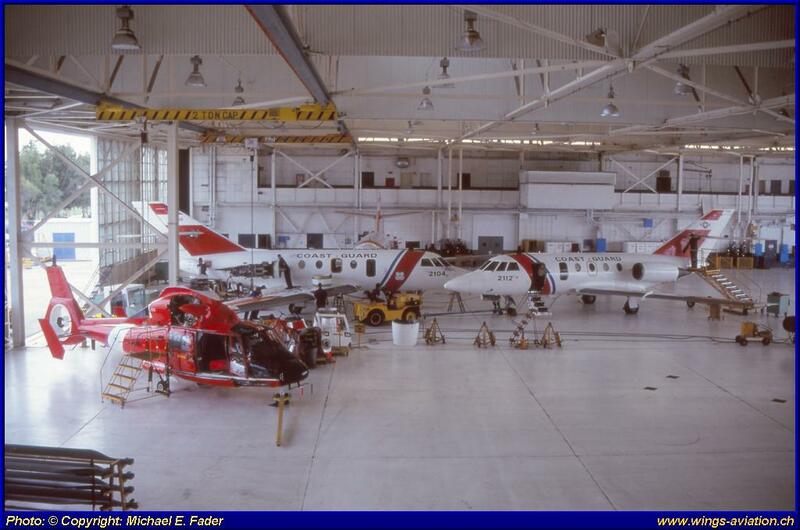 In fact in the 90’s it was easy to get access to any Base - a phone call on the day before was all we needed to get in; a great opportunity to have a closer look at the ramp, as well as the hangars where several aircrafts and helicopters undergoing their maintenance. 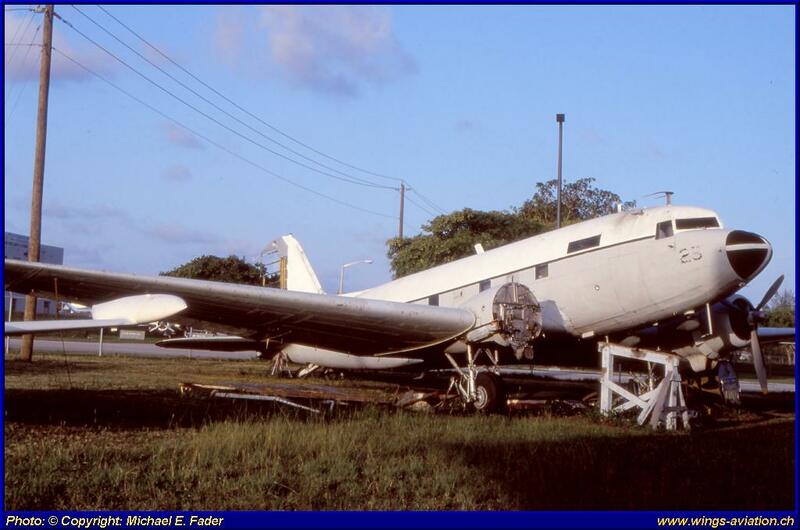 The Opa-locka Executive Airport is located in Miami-Dade County, Florida, 11 miles north of downtown Miami. 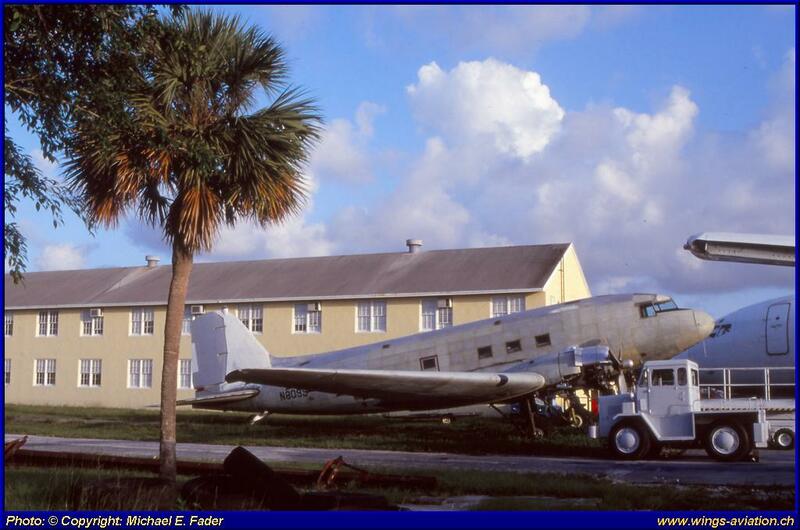 Aviation pioneer Glenn Curtiss retired from aircraft development and manufacturing in the 1920’s and became a real estate developer in Florida. 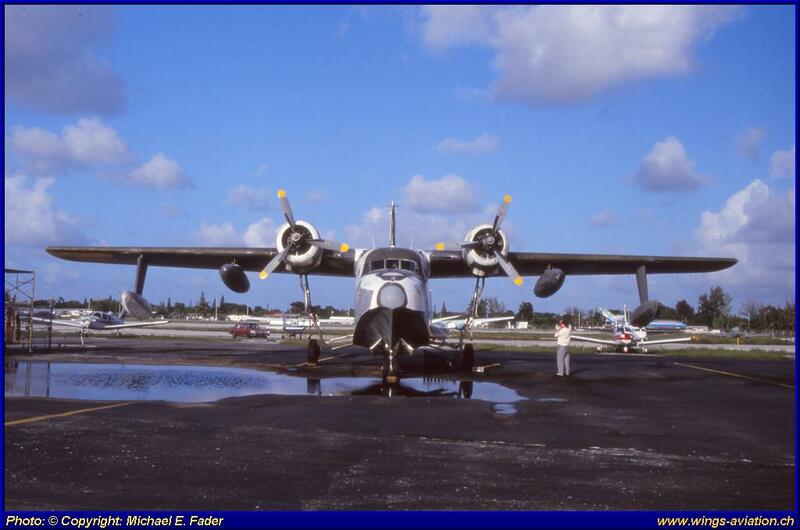 In 1929 he founded the Airport and erected a World War I surplus hangar from Key West on it. 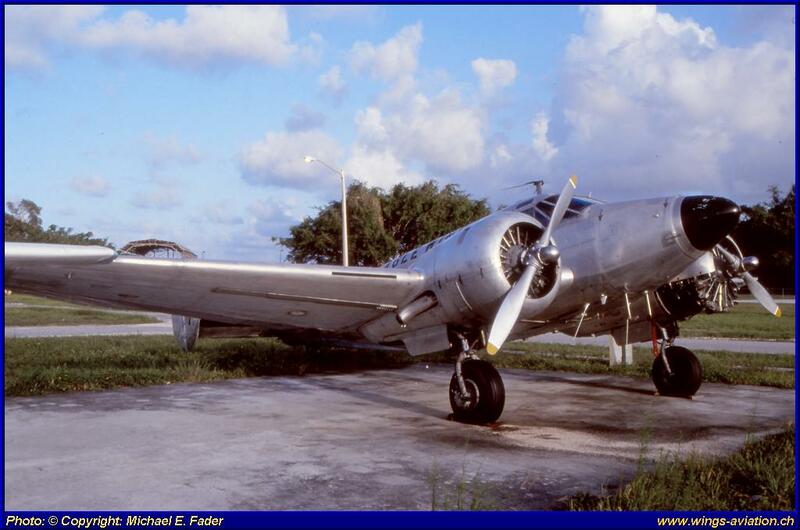 In 1932 the U.S. Navy leased some land from the city of Miami (who owned the land) what’s called today the western periphery of Opa-locka airport. 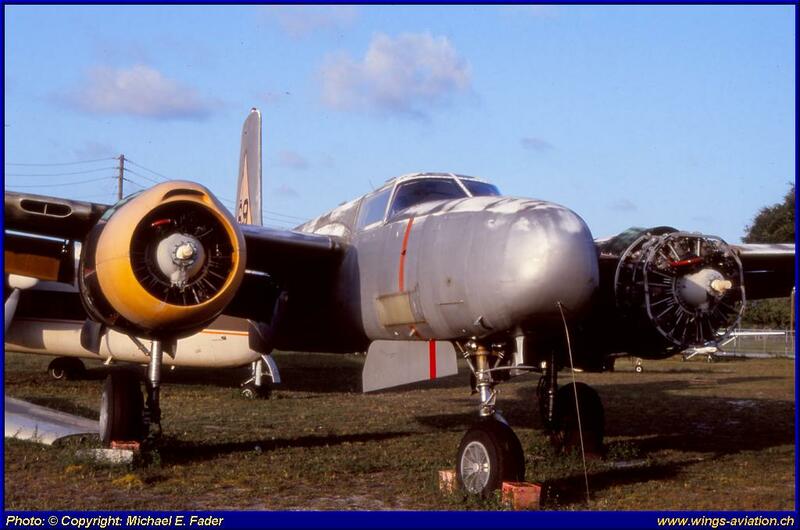 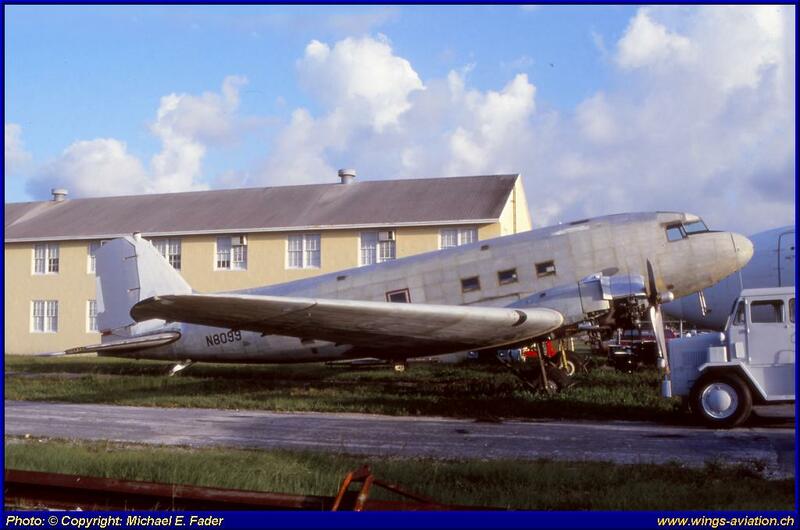 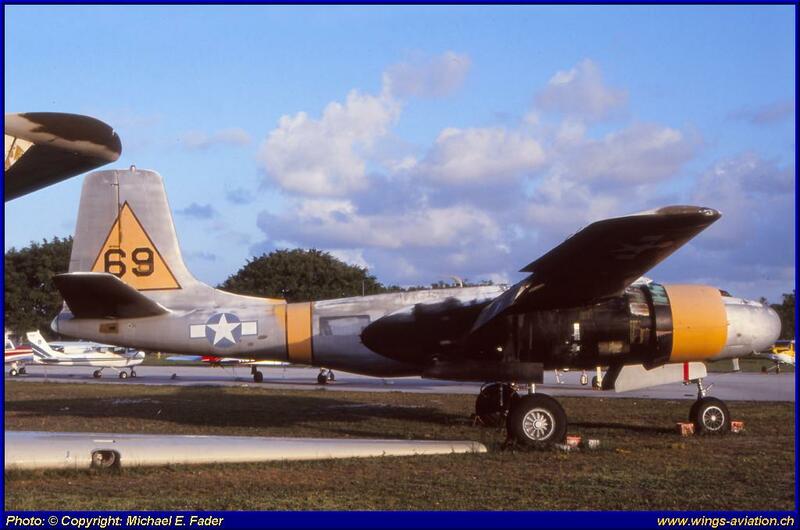 Major expansion of the base began in 1939, and it was commissioned as Naval Air Station Miami in 1940. 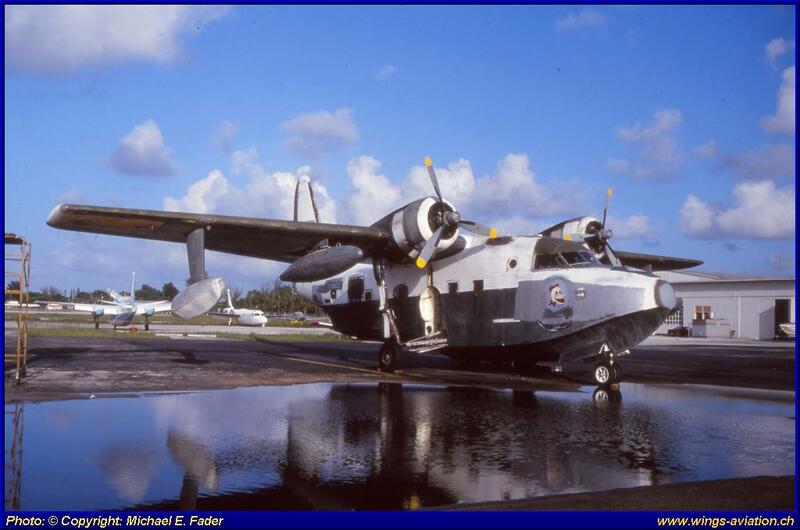 During World War II, NAS Miami was headquarters for operations of the U.S. 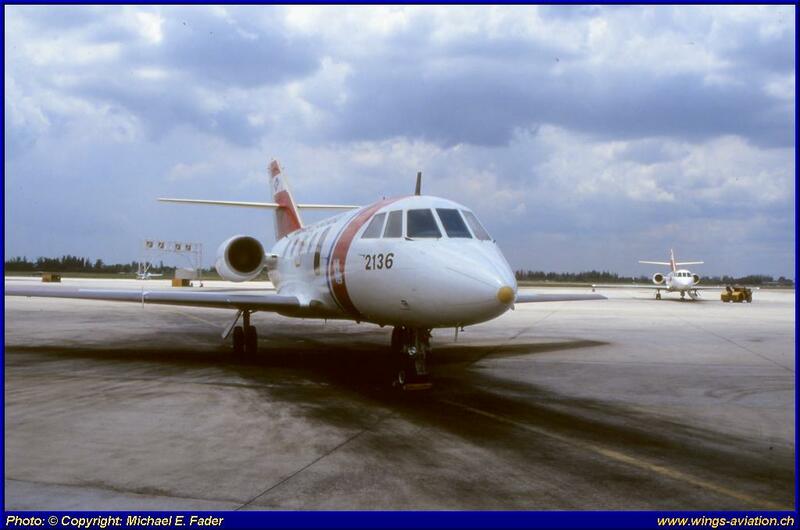 Naval Air Training Command, with six training bases. 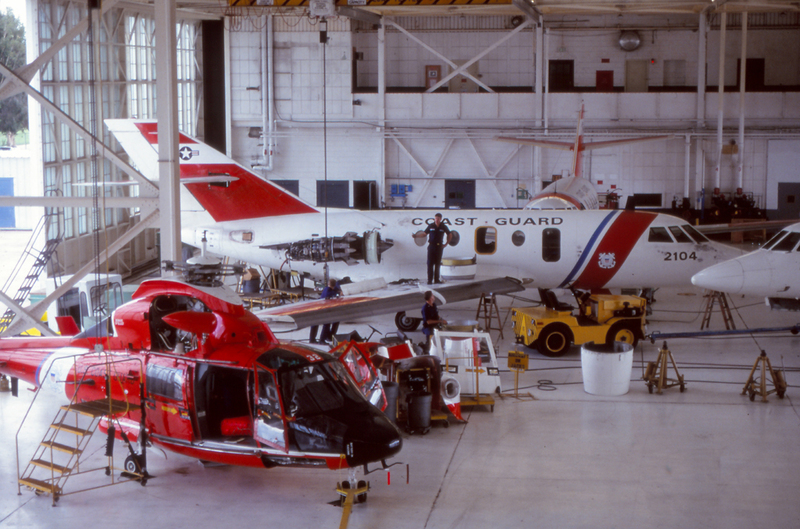 Activity continued on a reduced basic after the war. 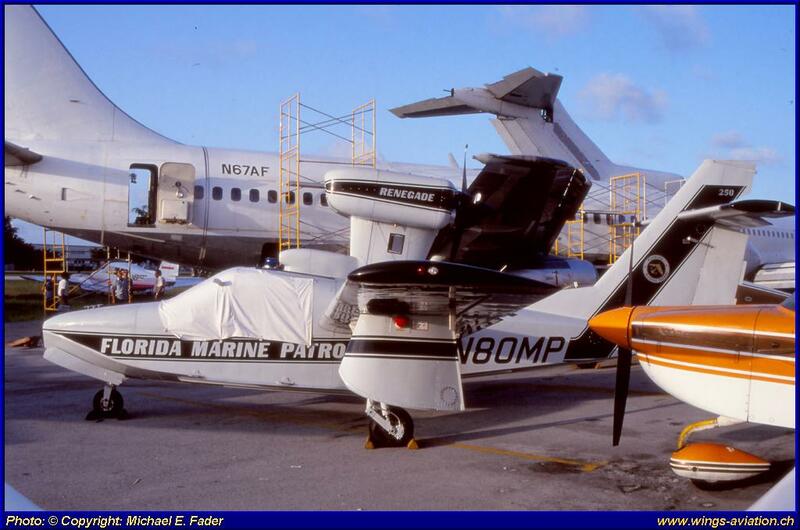 Following the departure of U.S. Navy in 1955, it became Marine Corps Air Station Miami. 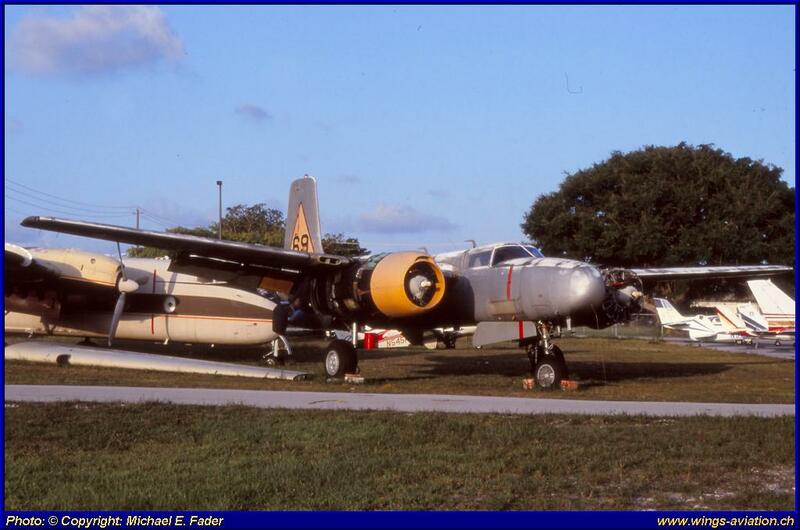 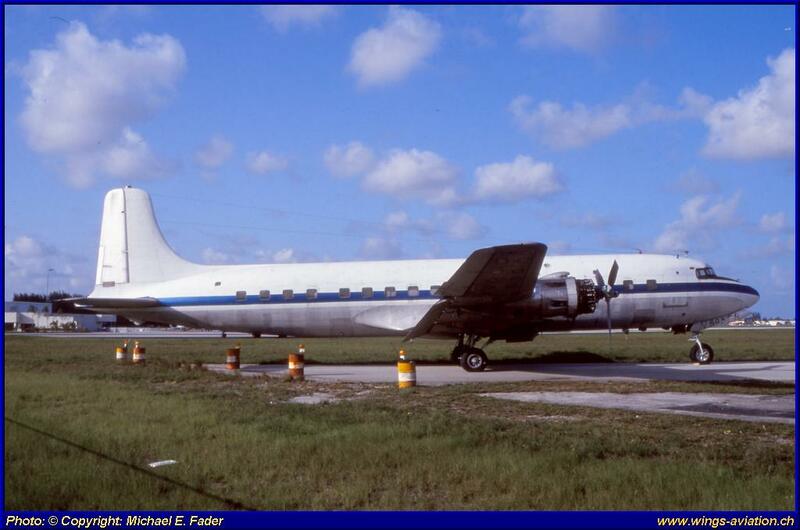 With the transfer of Marine Air Reserve squadrons and support units to NAS Jacksonville, Florida in 1958 and 1959, MCAS Miami was closed in 1959. 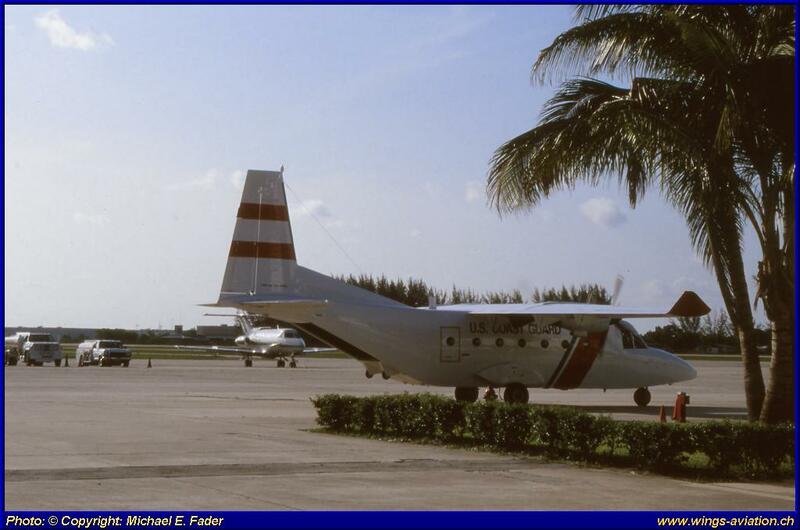 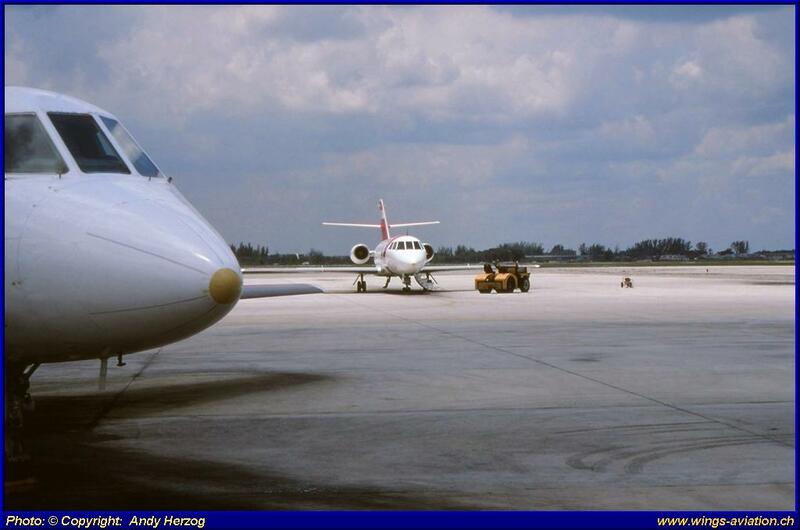 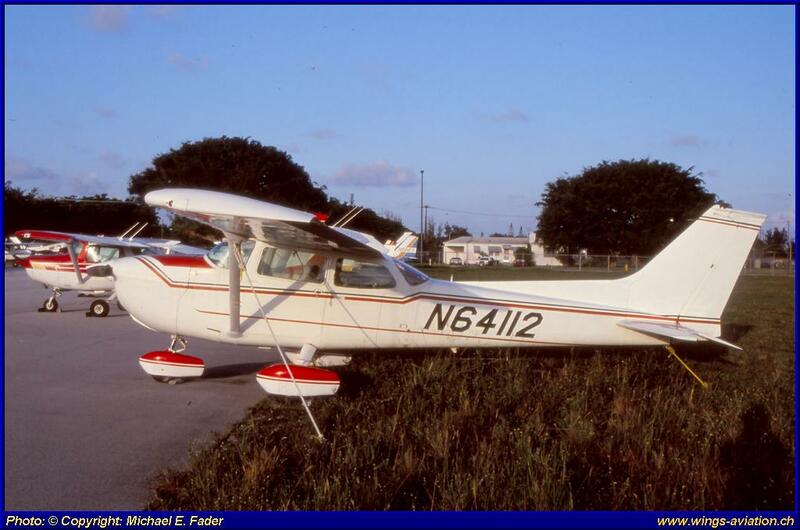 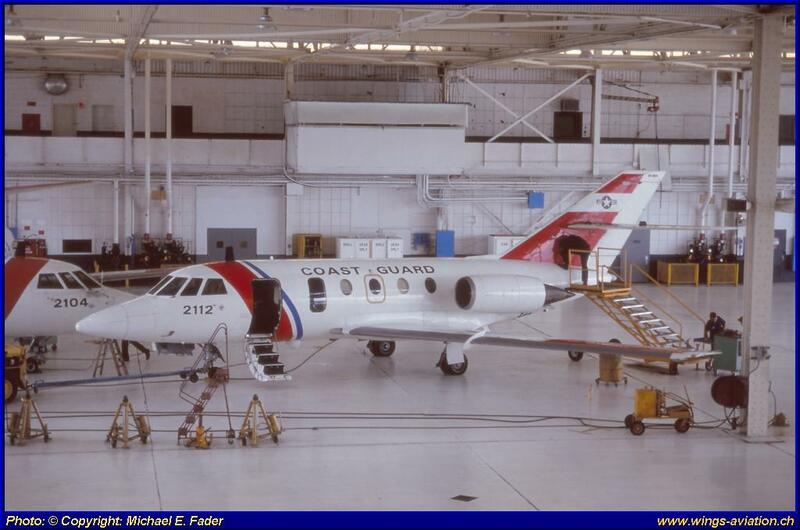 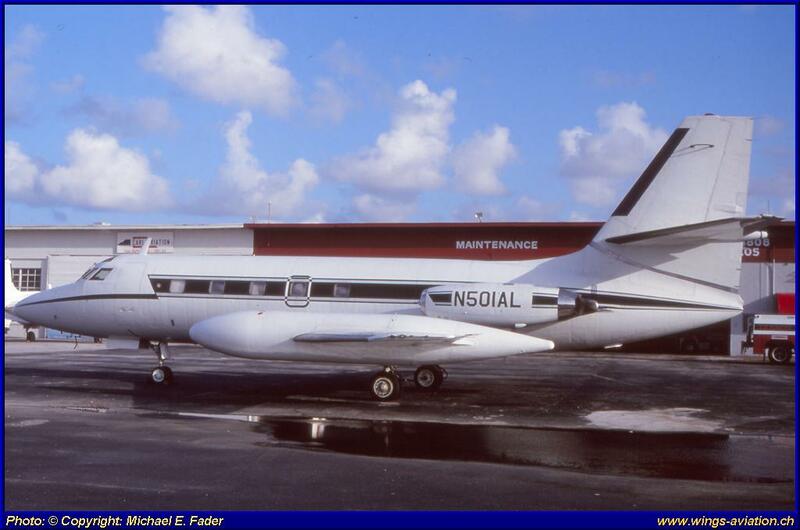 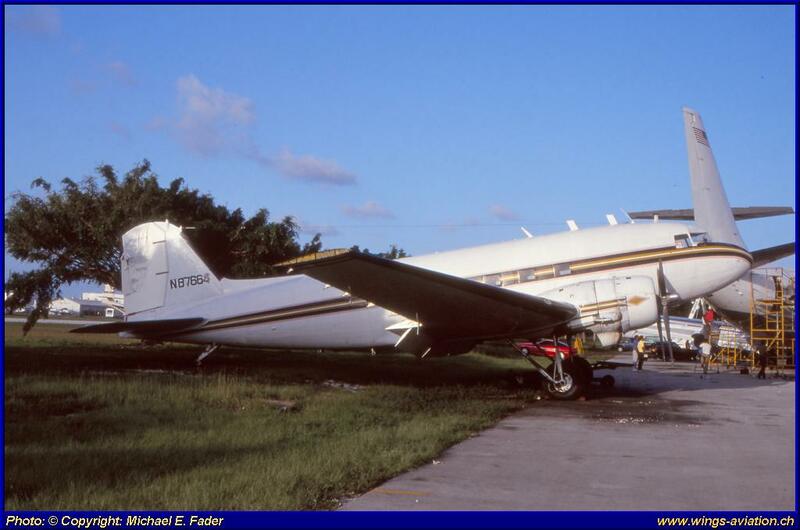 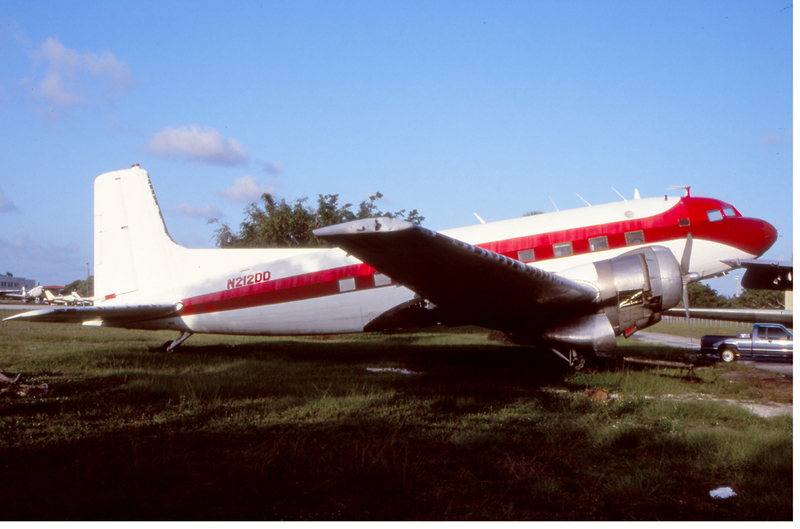 In 1965 the Coast Guard Air Station Miami transferred its aircraft and operations from its Dinner Key installation to the Opa-locka Airport and reestablishing CGAS Miami on this site. 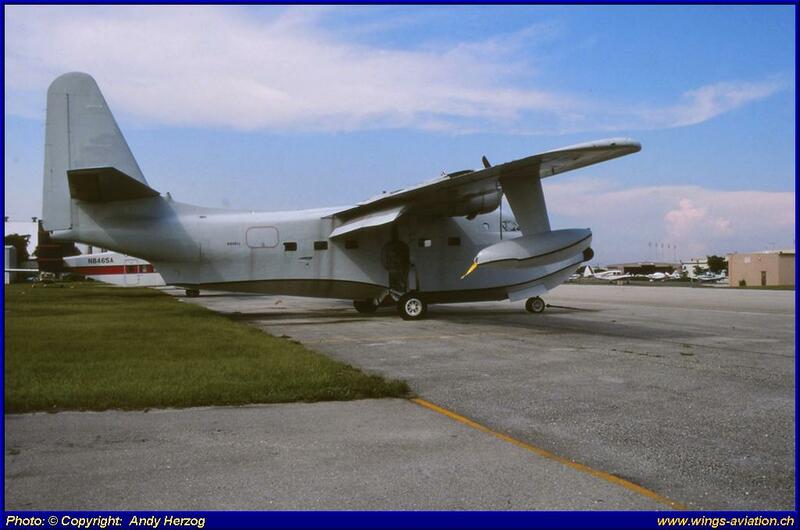 CGAS Miami continues to operate the site with HU-25 Guardian and HC-144 Ocean Sentry fixed-wing aircrafts and HH-65 Dolphin helicopters. 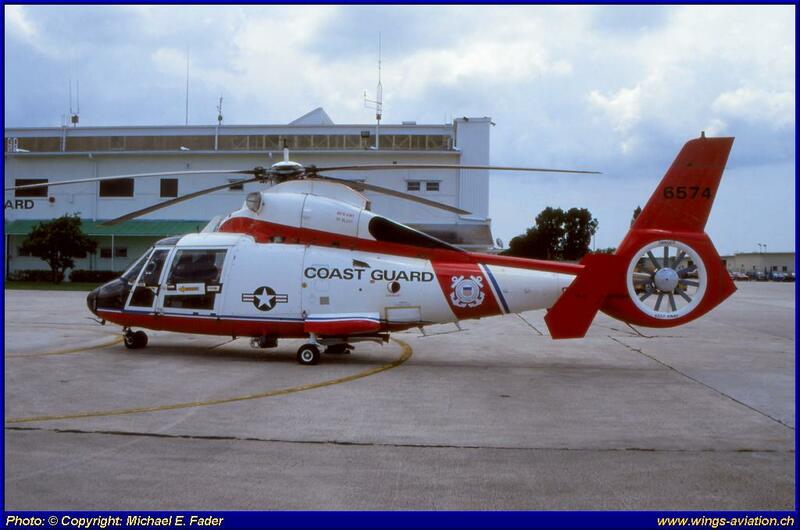 The USCG carries out three basic roles, which are further subdivided into eleven statutory missions. 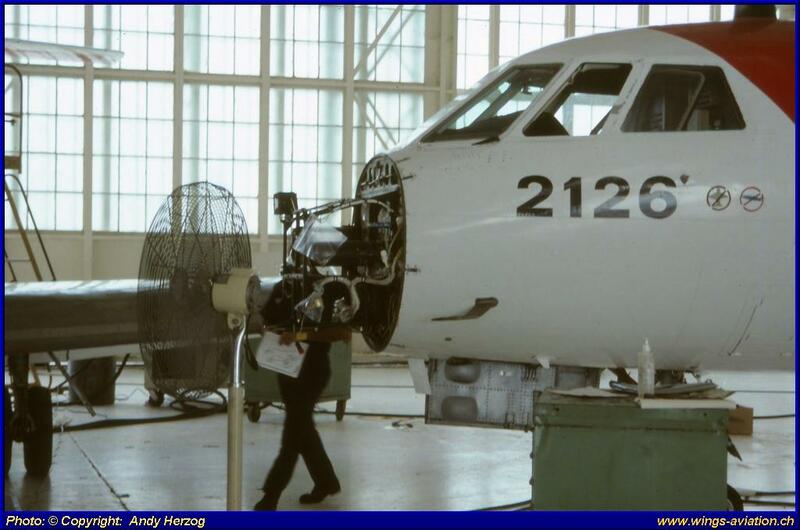 The three key-roles are: 1. 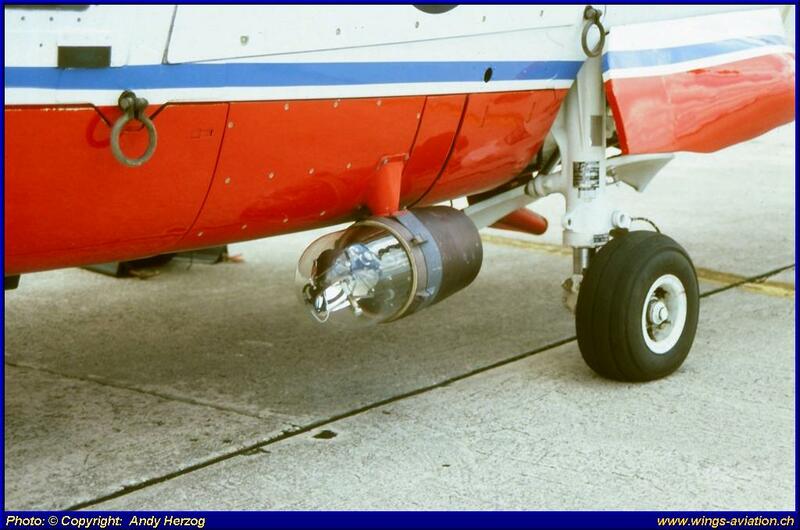 Maritime safety, 2. 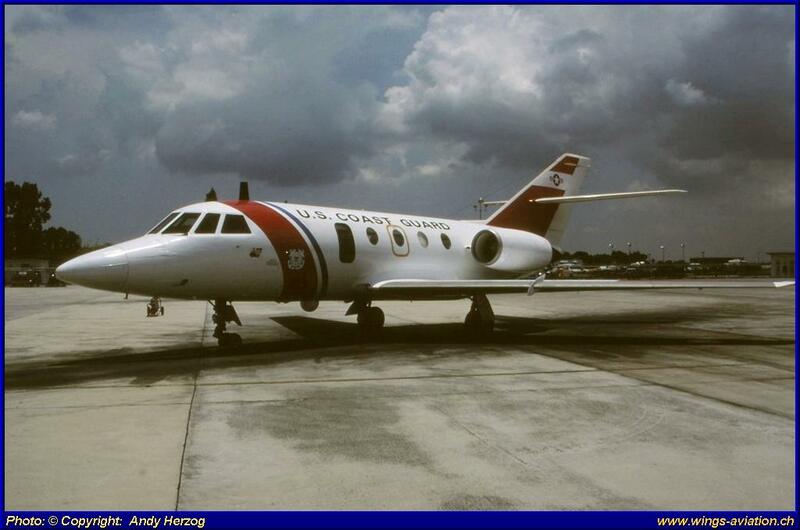 Maritime security, 3. 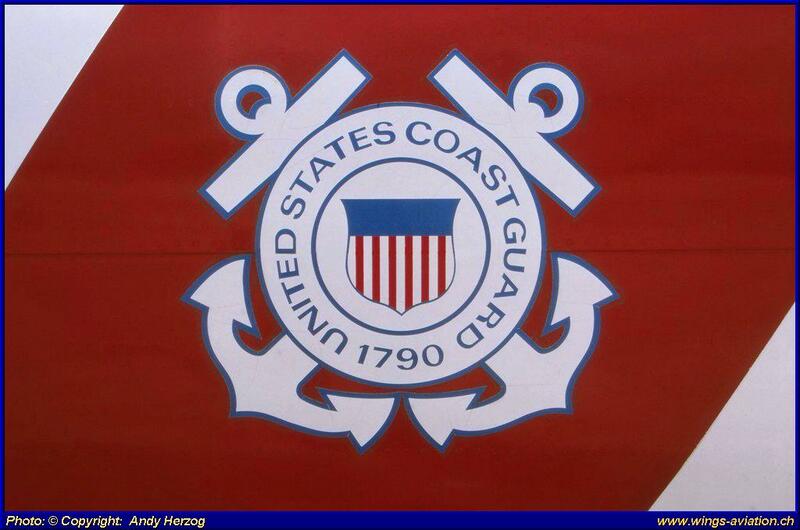 Maritime stewardship. 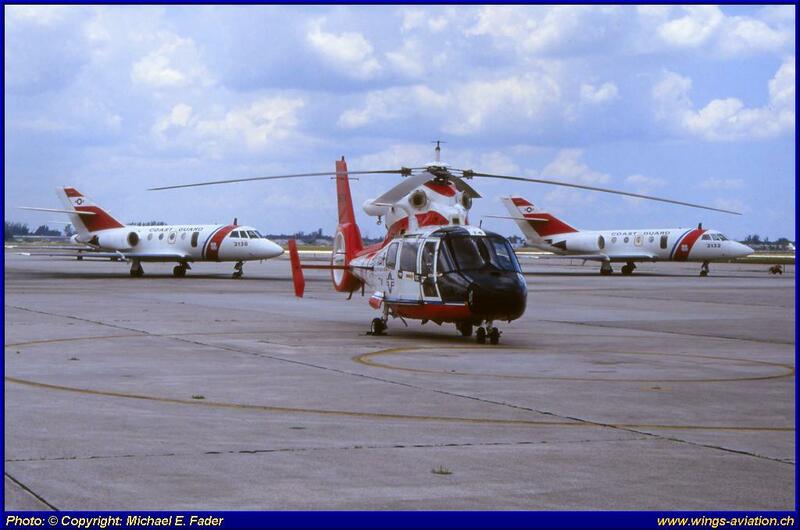 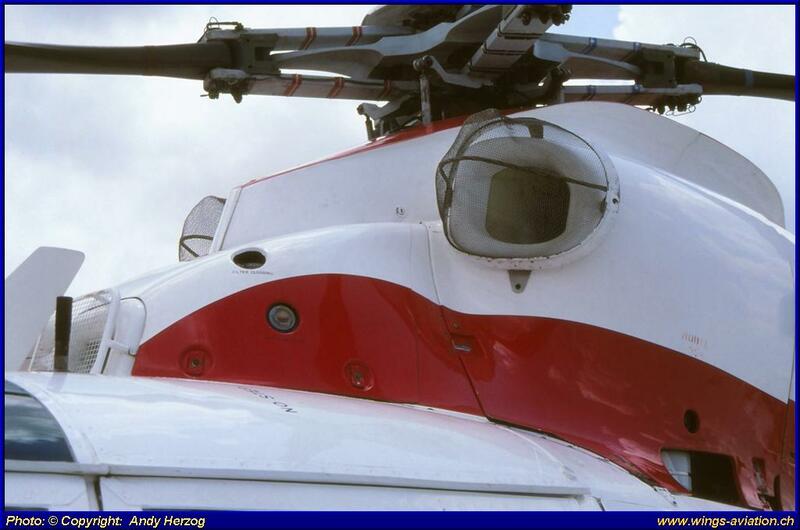 As today the Station had like in the 90’s the HU-25 Guardian fixed-wing aircraft and HH-65 Dolphin helicopters in their fleets. 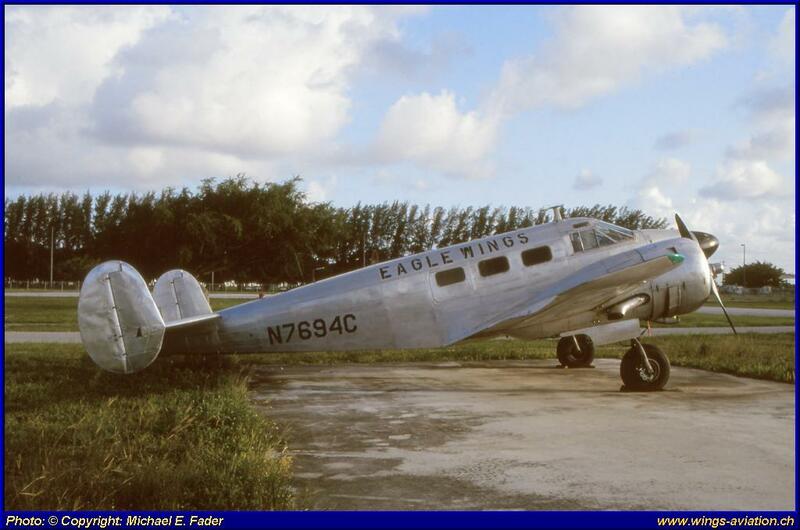 Both were manufactured in France which was a surprising fact that American’s were flying foreign planes. 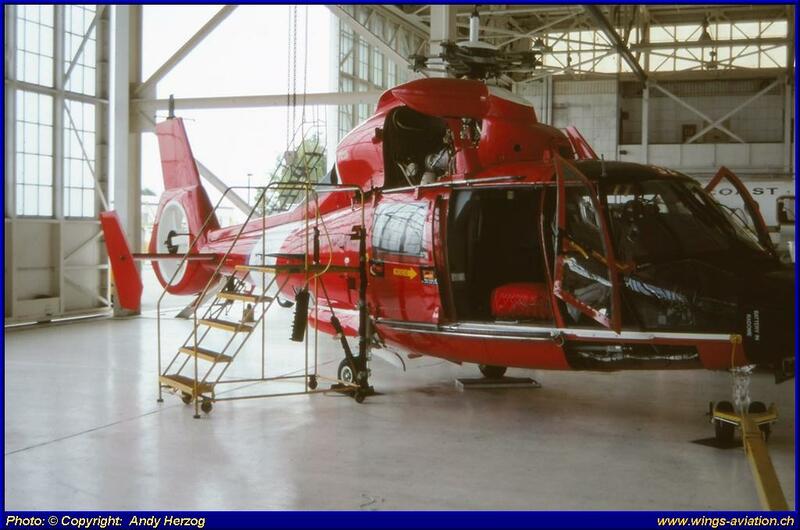 But our Guide had a very simple explanation to this, and said "The Coast Guard is flying only the best Aircrafts and Helicopters in the world”. 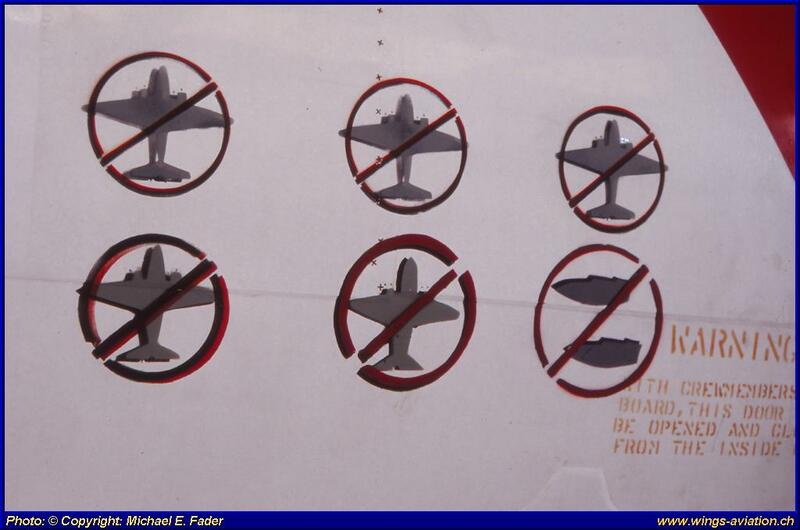 Well; a true statement! 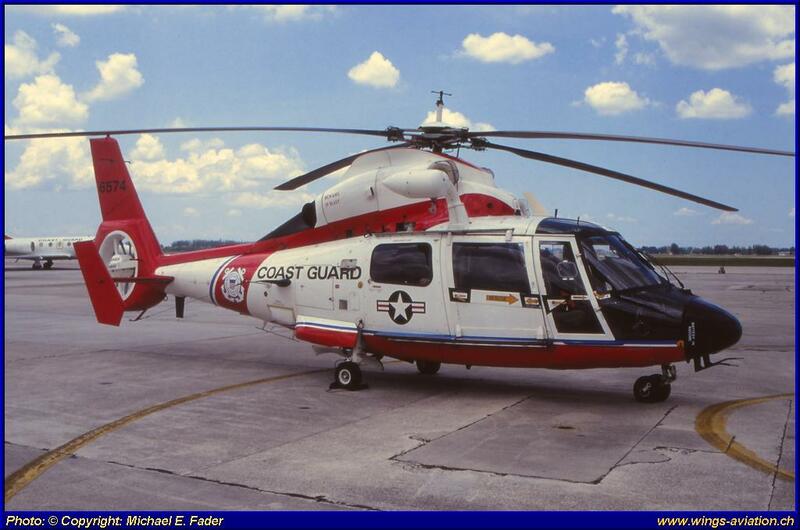 The SA366 G1 Dauphin version was selected by the USCG in 1979 as its new short range recovery (SRR) air-sea rescue helicopter, replacing the Sikorsky HH-52A Sea Guard. 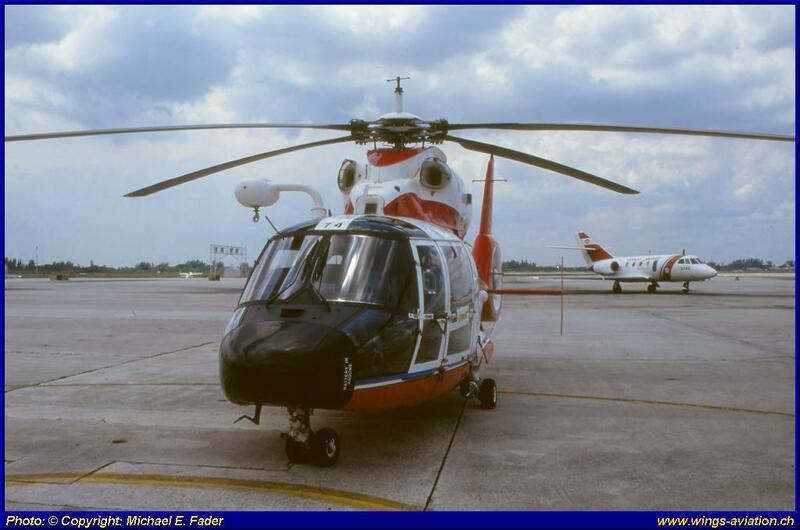 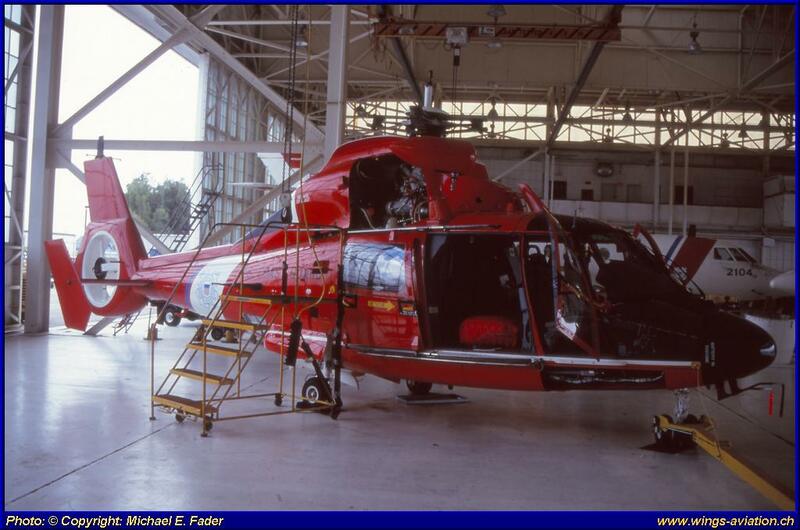 In order to comply with U.S. regulations relating to local engineering, changes were required — notably, the SA365's original Turbomeca Arriel engines were replaced with LTS101-750B-2 power plants, which at the time represented the cutting edge of turbo shaft design. 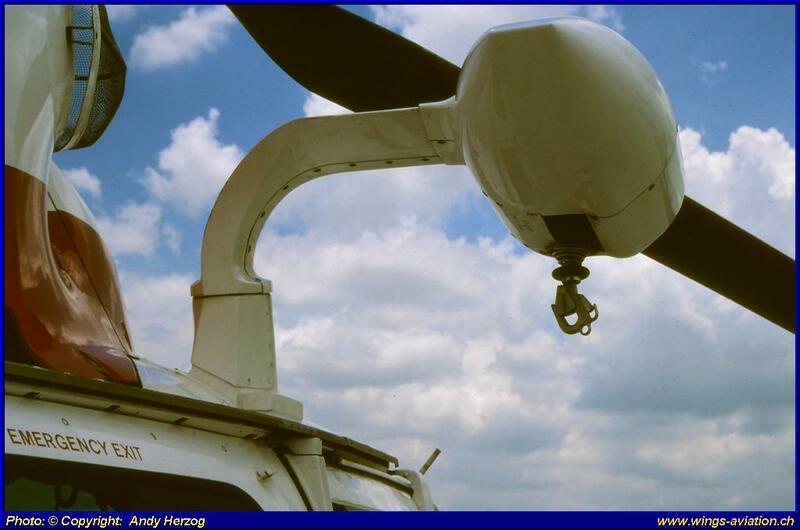 Unfortunately, initial teething problems with this engine worsened, as the HH-65's weight grew, resulting in several in-flight loss-of-power situations. 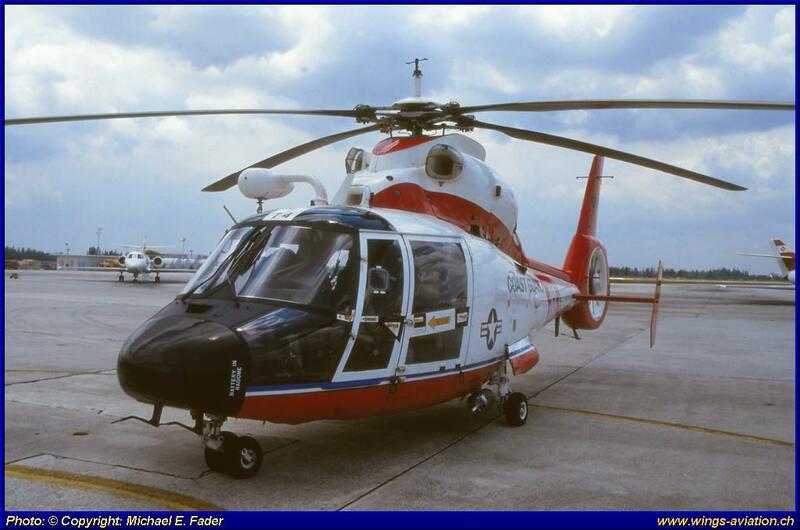 In March 2004 the Coast Guard announced the selection of the Turbomeca Arriel 2C2-CG, already installed in the original SA365 helicopters. 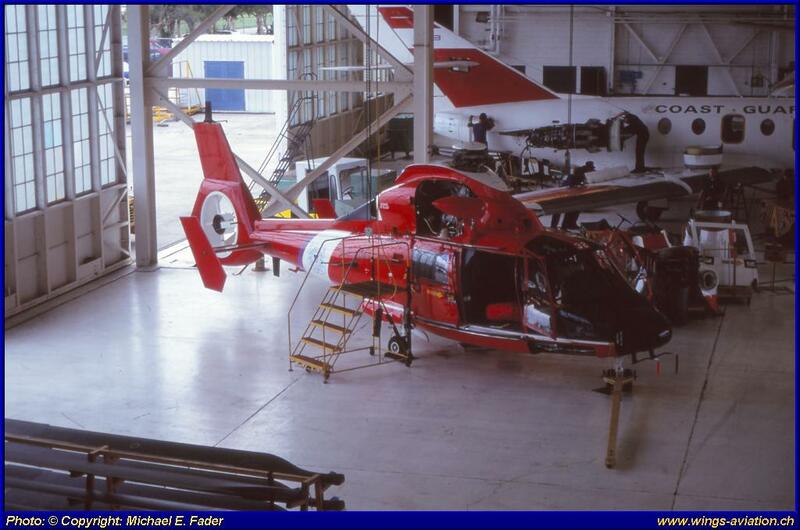 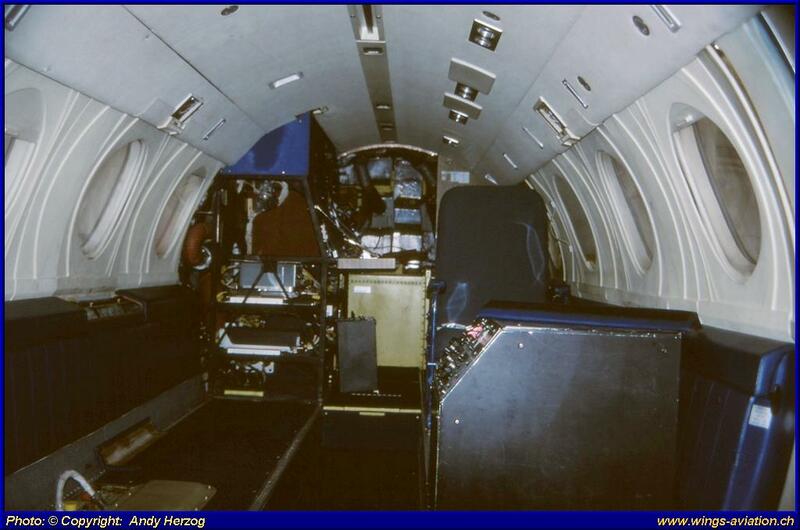 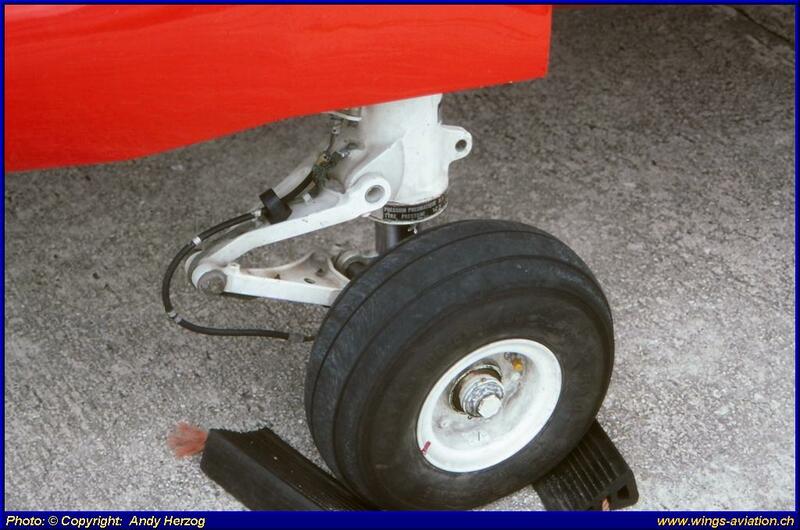 This upgrade began in 2004, and has resulted in a safer and more reliable aircraft. 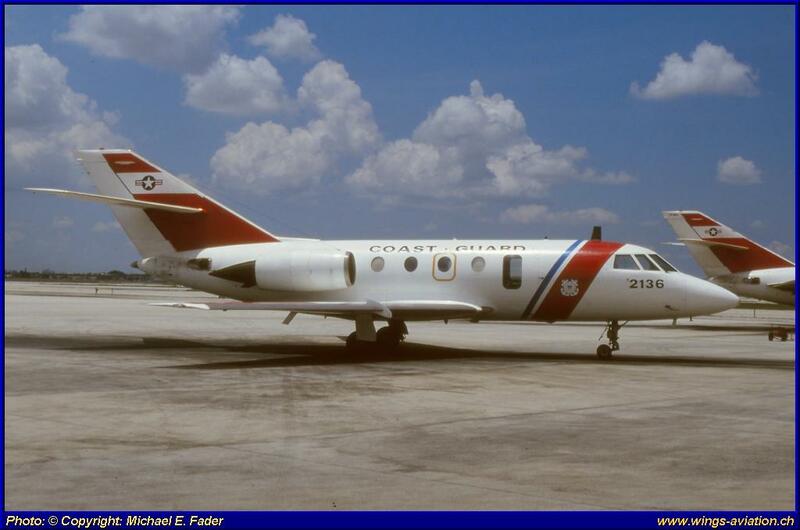 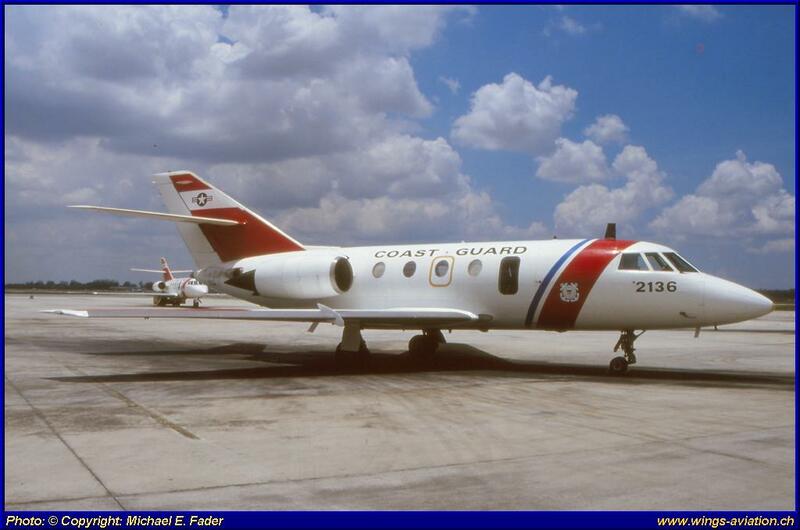 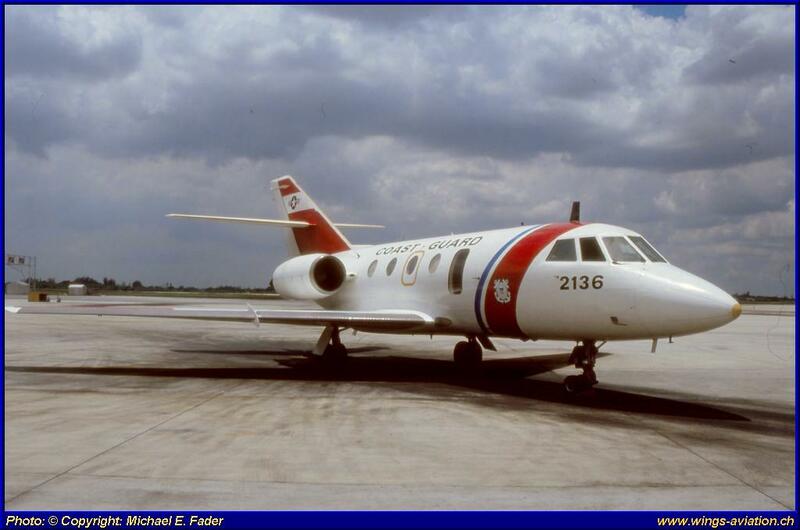 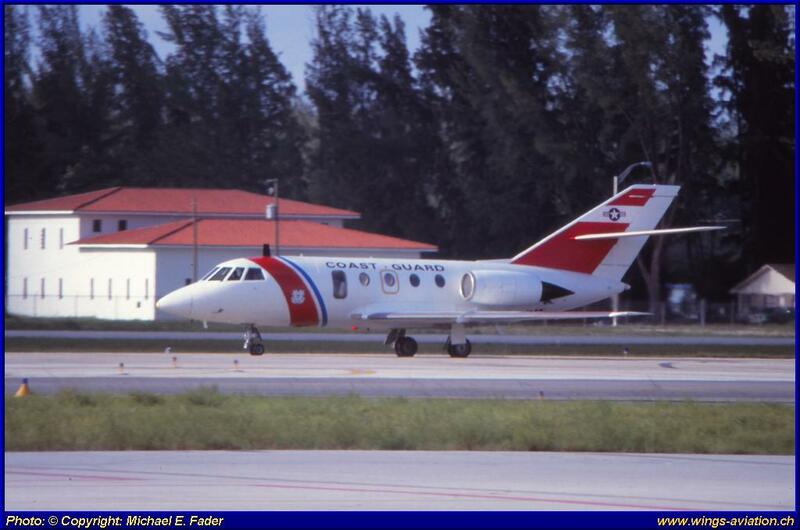 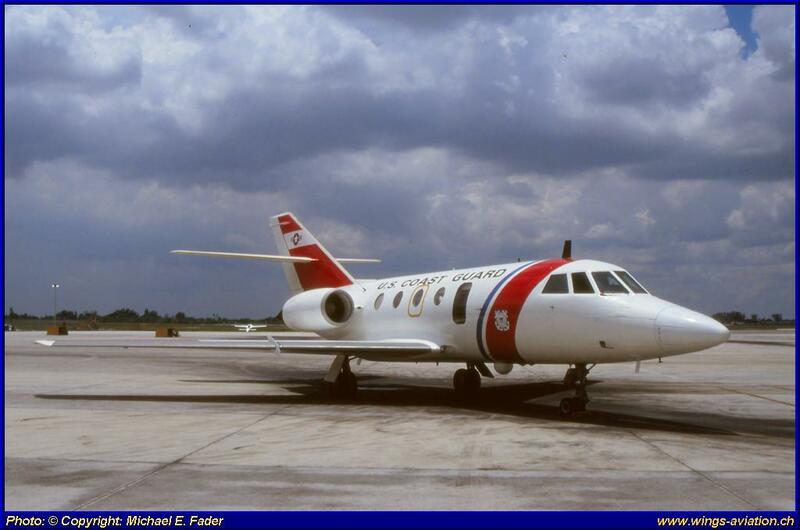 The USCG operates a type of the French build Dassault Falcon 20, called HU-25 Guardian which is used as a high-speed observer aircraft to locate shipwreck survivors, direct slower-moving aircraft and rescue vessels and interdict aerial and ship borne drug trafficking. 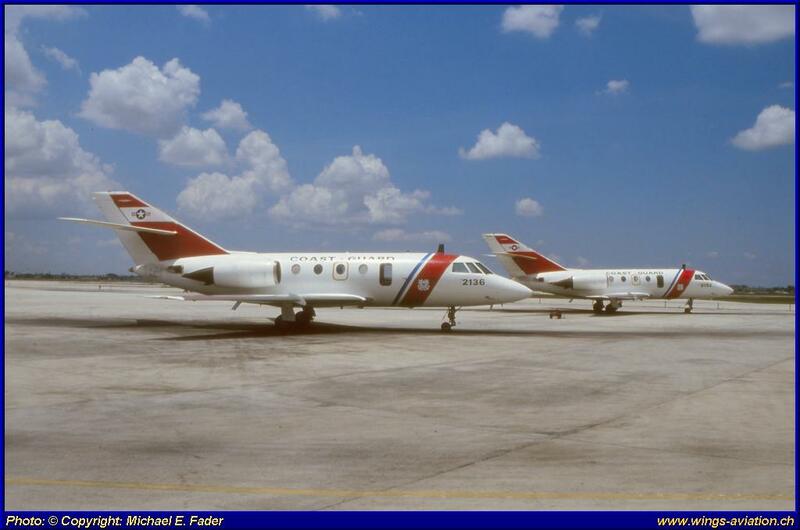 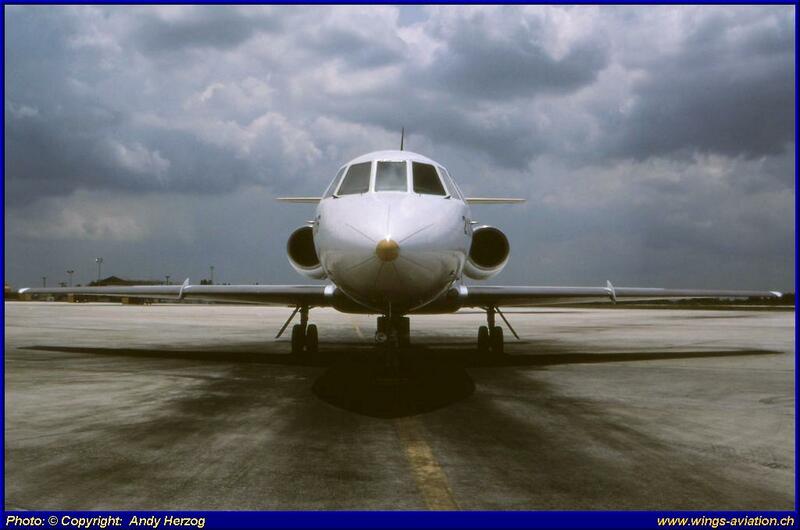 The Falcon 20G, HU-25 and Falcon 200 were powered by two Garrett ATF3 engines. 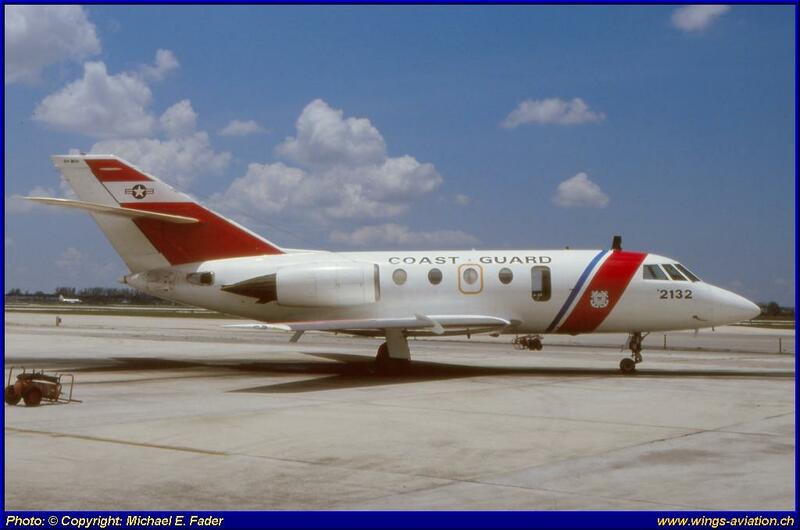 Again the the original power plant (General Electric CF700-2D-2 turbofan) was replaced by the USCG, this time without any serious problems. 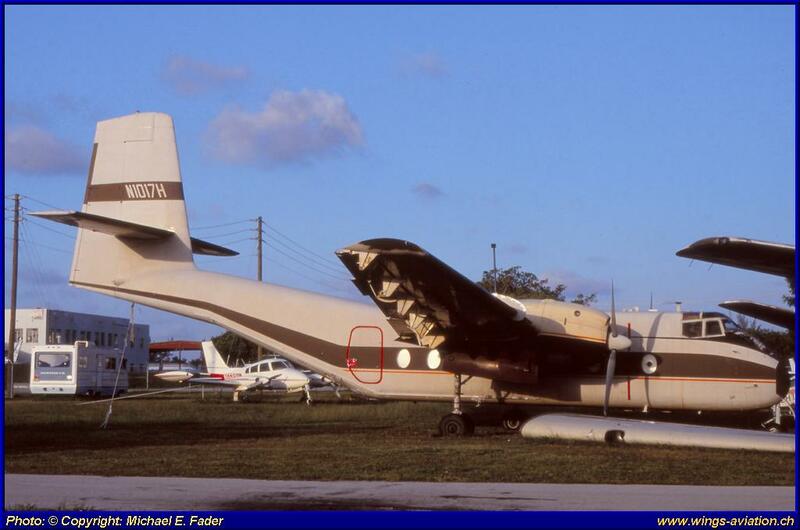 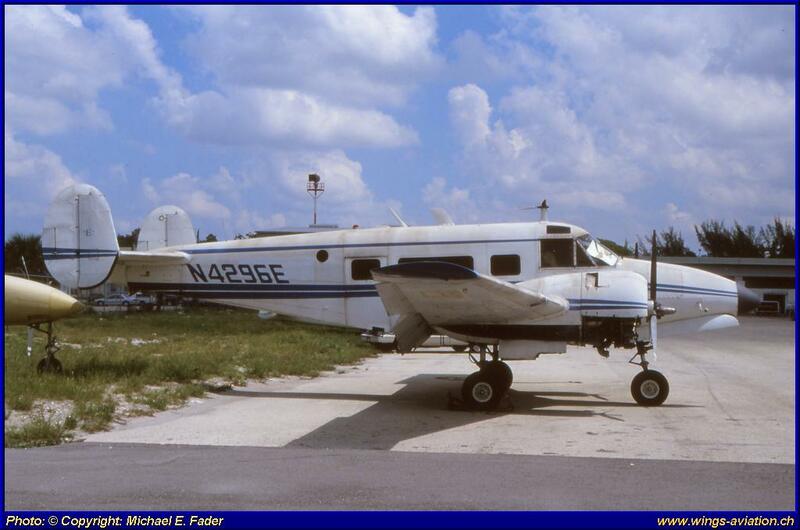 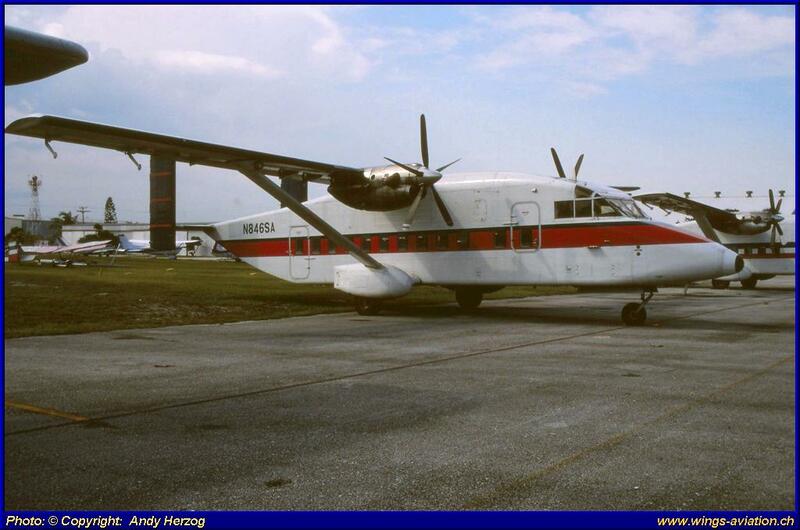 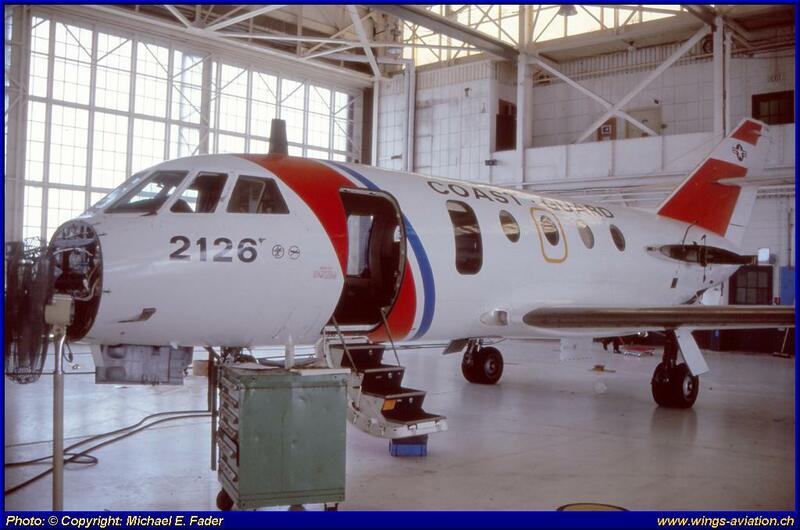 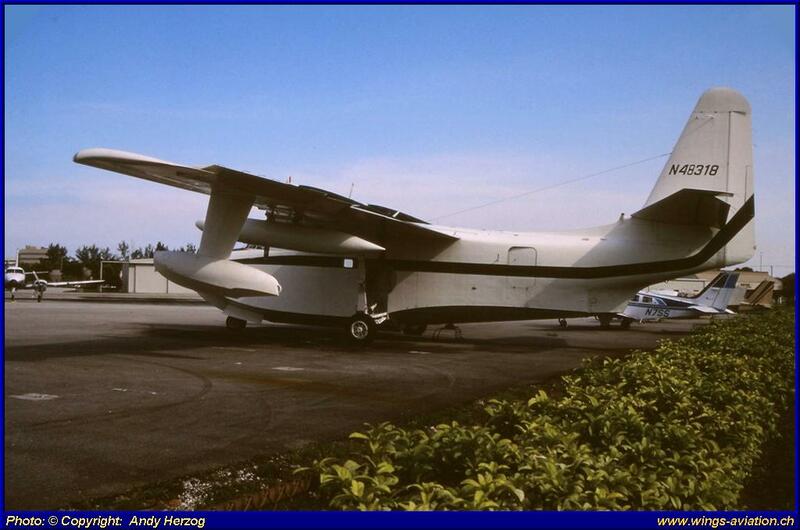 A third and rather unusual type of aircraft we have seen in their inventory, was Spanish build Casa C-212-200 Aviocar - a light transport plane. 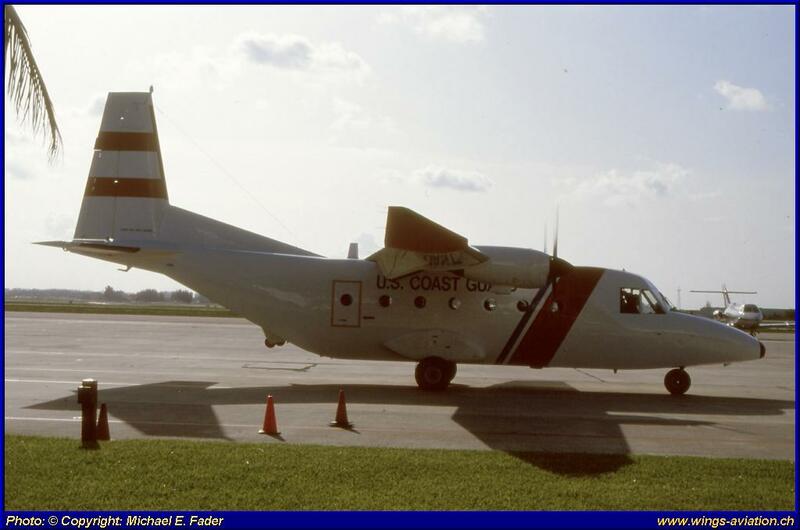 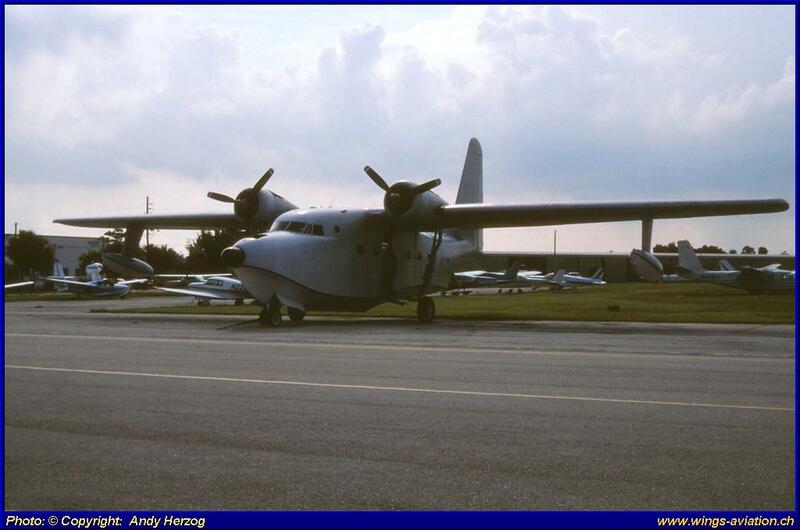 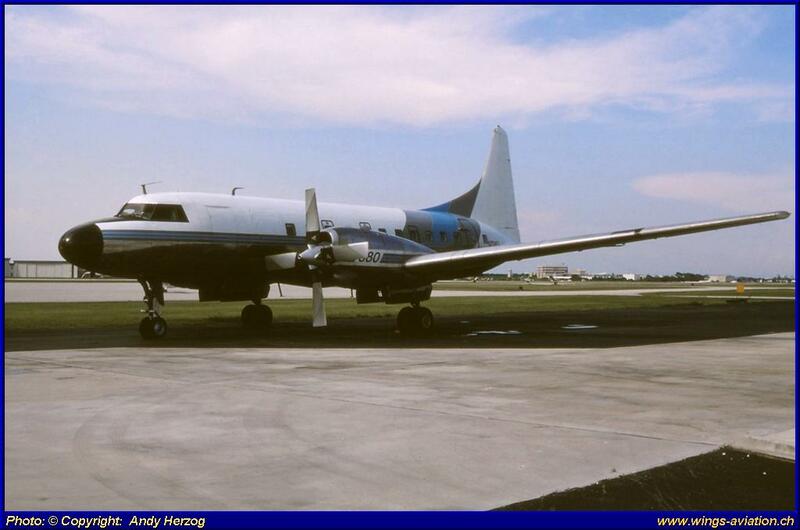 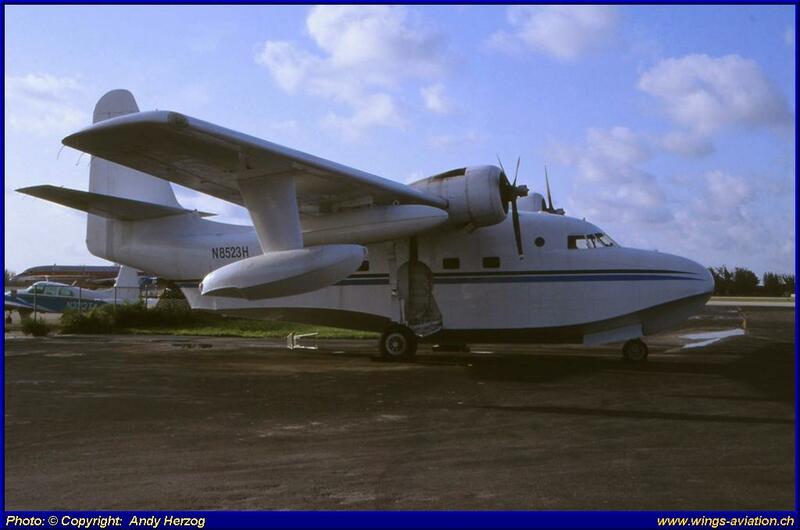 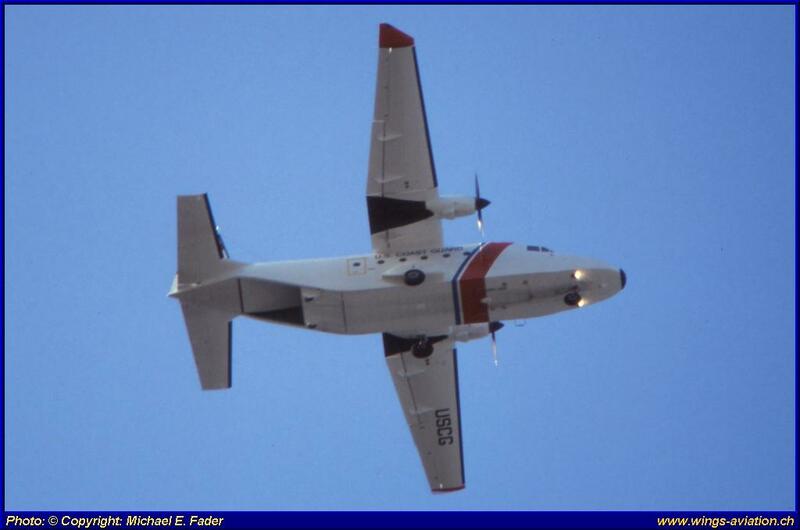 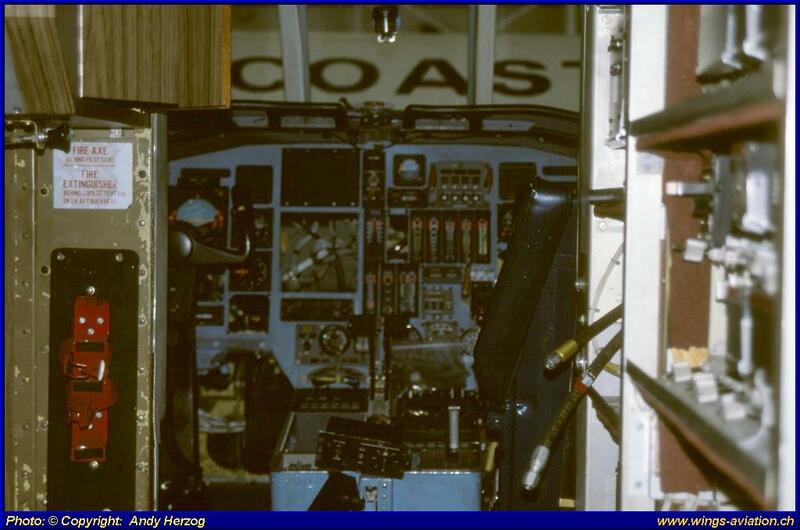 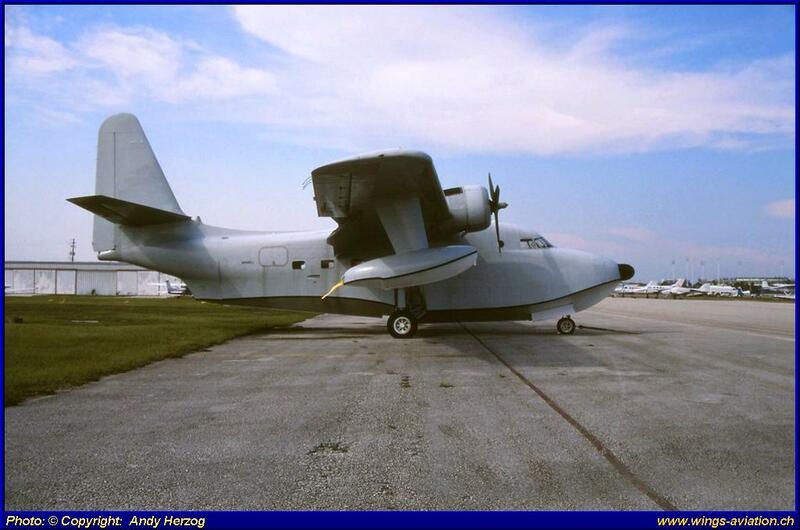 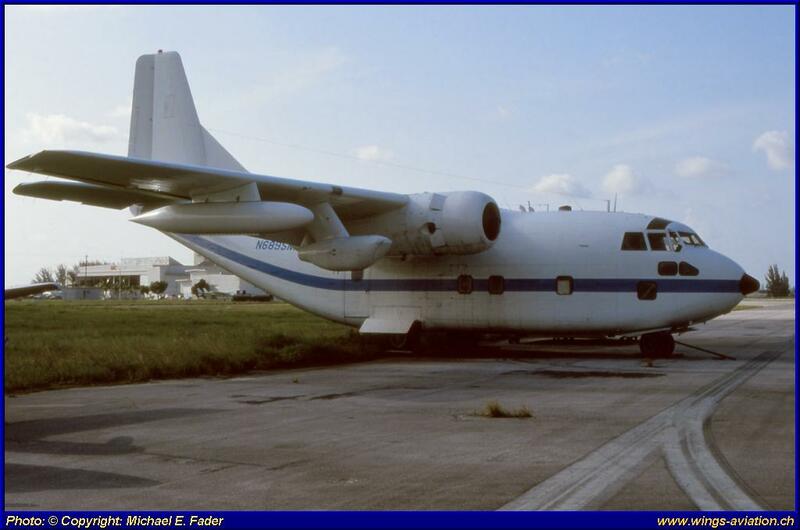 The plane was leased by the USCG on a long term contract, to test the abilities of this airplane, regarding the need and requirements by the U.S. Coast Guard. . Maybe it was a forerunner of today’s HC-144 Ocean Sentry from Casa. 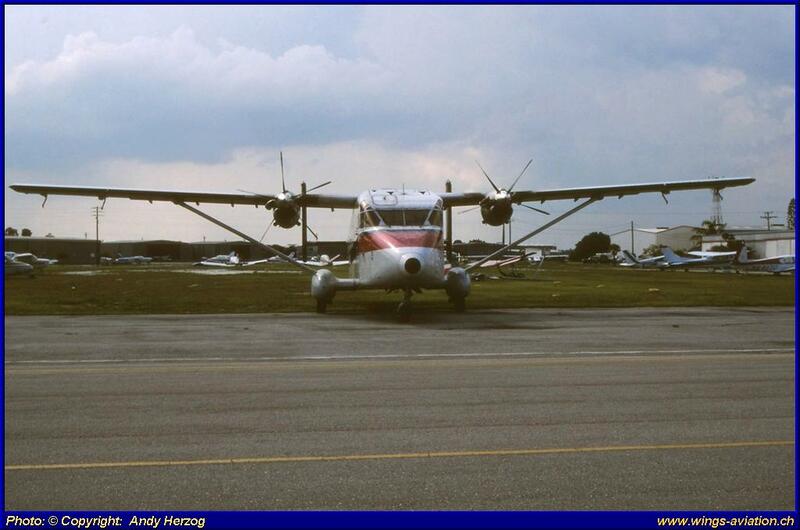 And again: a European Aircraft - I think we build the world’s best airplanes!